“Get your head in the game,” is more than just an expression frustrated coaches yell at athletes who aren’t living up to their potential. Top athletes know that they need more than just physical strength to dominate their sport. Along with intense training for their bodies, champion-level athletes invest significant time in training their minds as well. 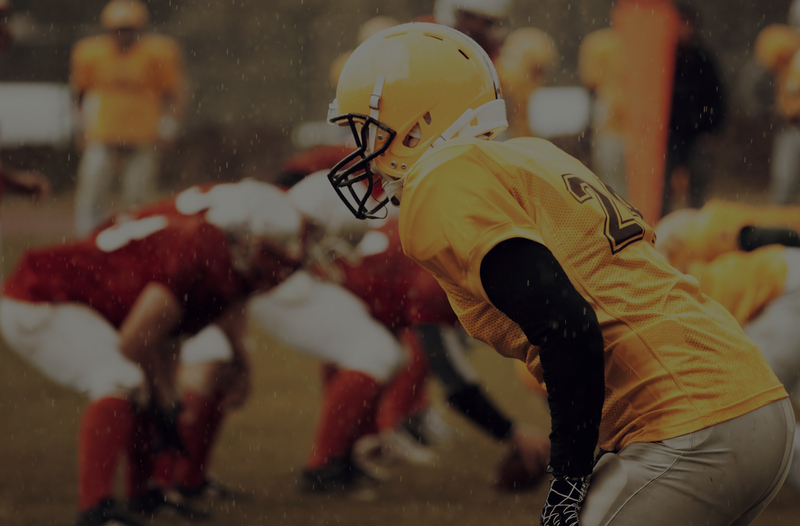 No matter what level you’re playing at now – from junior varsity all the way up to D1 – you can improve your skills by learning more sports psychology. As a student-athlete, you face tremendous pressure. At both the high school and college levels, games and competitions, travel, practices and conditioning need to be fit in around a full academic course load. Never mind the social side of being in your late teens to early twenties. Everyone faces these difficulties in life, but you may find they are more intense given your standing as an athlete. Here are some mindset hacks to help you reach your full athletic potential. With everyone from Lebron James to the Seattle Seahawks embracing meditation, it’s no longer viewed as the domain of yogis only. There are many forms of meditation, but a basic mindfulness of breathing exercise allows you to bring your attention back to your breath and let go of stress or anger that may be flaring up. Meditation can also help you build focus. Diaphragmatic breathing and rhythmic breathing have shown to be effective at calming the nervous system. The best part of these breathing exercises is you can perform them anywhere. Progressive relaxation is a method where you contract a muscle and then release it and observe how different it feels in the relaxed state. You can do this by working through different muscle groups in your body from head to toes or focus on one area of the body that you want to relax. Setting SMART – Specific, Measurable, Achievable, Realistic, Timebound – goals can help develop focus, build confidence and reduce anxiety. The process of setting and evaluating progress can help you shift your focus to skill development rather than focusing only on the outcome, such as winning. Changing how you talk to yourself can make a big difference in confidence, performance and overall enjoyment of your sport. If you believe you are a champion and celebrate your achievements, you’re likely to notice a difference in how you feel on game or race day. How you communicate with your coach and fellow athletes has a considerable impact on stress, anxiety and confidence levels. A supportive environment begins with the coach, but you can also improve this situation by practicing active listening and being encouraging. Some athletes find that cue words, such as “quick feet” or “relax” can help them keep their focus. You can choose any phrase or word that works for you. There are many ways you can use visualization and imagery in sports. Before a game or race, you can visualize yourself competing and achieving your goals to help build focus and confidence. You can also use imagery to help you relax during stressful situations. You can use journals to record how a practice went, how you’re feeling physically and mentally, to rate your focus and more. Some coaches even have their athletes write for five minutes before games to help them focus. If you’ve watched the Summer Olympics, you’ve surely seen Michael Phelps with his big headphones before every race. Whether you have songs that help you focus or a certain meal you like to eat before a game, building effective routines can help you build focus and confidence and reduce pre-game anxiety. 2019 ⓒ ALL RIGHTS RESERVED | SWEAT PERFORMANCE, LLC.